Relating to kinship guardianship; to amend Section 12-15-314 of the Code of Alabama 1975; to eliminate the requirement that a kinship guardian may be appointed by the juvenile court only if a parent, legal guardian, or legal custodian of the child is living and has consented in writing to the appointment of the guardian and not withdrawn the consent; and to eliminate the requirement that a parent, legal guardian, or legal custodian of a child must consent in writing before a successor guardian may be appointed. (1) Permit the child to remain with the parent, legal guardian, or other legal custodian of the child, subject to conditions and limitations as the juvenile court may prescribe. (2) Place the child under protective supervision under the Department of Human Resources. a. The Department of Human Resources. b. A local public or private agency, organization, or facility willing and able to assume the education, care, and maintenance of the child and which is licensed by the Department of Human Resources or otherwise authorized by law to receive and provide care for the child. c. A relative or other individual who, after study by the Department of Human Resources, is found by the juvenile court to be qualified to receive and care for the child. Unless the juvenile court finds it not in the best interests of the child, a willing, fit, and able relative shall have priority for placement or custody over a non-relative. (4) Make any other order as the juvenile court in its discretion shall deem to be for the welfare and best interests of the child. (5) In appropriate cases, award permanent custody to the Department of Human Resources or to a licensed child-placing agency after termination of parental rights and authorization to place for adoption, without appointing a legal guardian, or award temporary custody to the department or a licensed child-placing agency without appointing a legal custodian or legal guardian. (b) Unless a child found dependent shall also be found to be delinquent, the child shall not be confined in an institution established for the care and rehabilitation of delinquent children or in a juvenile detention facility. Nothing in this subsection shall be construed to prohibit the placement of dependent children in any other residential facility as defined in subdivision (22) of Section 12-15-102. (c) There shall be a rebuttable presumption that children cannot be removed from the custody of their parents solely because of a need for emergency housing. (d) In providing shelter or other care for children referred to or coming under the jurisdiction of the juvenile court, the juvenile court and the Department of Human Resources shall utilize only those facilities as have been established, licensed, or approved by law, or by agencies pursuant to law, for those purposes. (e) When a child is placed in the legal custody of the Department of Human Resources or any other department, agency, organization, entity, or person pursuant to this section and when the parent, legal guardian, or legal custodian of the child has resources for child support, the juvenile court shall order child support in conformity with the child support guidelines as set out in Rule 32, Alabama Rules of Judicial Administration. The child support shall be paid to the Department of Human Resources or department, agency, any other organization, entity, or person in whose legal custody the child is placed and may be expended for those matters that are necessary for the welfare and well-being of those children placed in the Department of Human Resources or any other departments, agencies, organizations, entities, or person. In these cases, the juvenile court shall issue income withholding orders subject to state law. Any petition alleging dependency of a child filed by the Department of Human Resources shall contain a request for child support. (f)(1) After a child has been placed in the legal custody of the Department of Human Resources, the department may file with the juvenile court a written request for appointment of a kinship guardian in cases where the juvenile court has entered an order under Section 12-15-315 affirming kinship guardianship as the permanent plan for the child. (2) If the kinship guardian dies or becomes incapacitated, the department or the named prospective successor guardian in the kinship guardian subsidy agreement may file a written request for appointment of the successor guardian. The department or the prospective successor guardian may file for an ex parte order of temporary guardianship pending a hearing on the written request for appointment of a successor guardian. a. Facts that if proved will meet the requirements for a kinship guardianship or successor guardianship. b. The date and place of birth of the child, if known, and if not known, the reason for the lack of knowledge. c. The legal residence of the child and the place where he or she resides, if different from the legal residence. d. The marital status of the child, if applicable. e. The name and home and business addresses of an individual caregiver sought to be appointed as a kinship guardian or successor guardian and all residents of that individual's household. f. The relationship between the individual caregiver sought to be appointed as a kinship guardian or successor guardian and the child. g. The names and home and business addresses of the parents of the child, if known. h. The names and home and business addresses of legal guardians or legal custodians. i. The existence of any pending matters involving the custody of the child. j. A signed statement from the individual caregiver sought to be appointed as a kinship guardian or successor guardian that the individual agrees to accept the duties and responsibilities of being a kinship guardian or successor guardian. k. The existence of any other matters pending in the juvenile court involving the child and, if they exist, a statement that departments, agencies, individuals, or entities authorized or involved in the proceedings, by law or court order, consent to the relief requested. l. The results of a criminal history record background check of the individual caregiver seeking to be appointed as a kinship guardian or successor guardian and all adult residents of the household of the individual caregiver. In addition, the results of a child abuse record check of the individual caregiver seeking to be appointed as a kinship guardian or successor guardian and all residents 14 years or older of the household of the individual caregiver. 2. The specific actions taken to notify the tribes of the parents, legal guardians, or legal custodians and the results of the contacts. n. Other relevant facts in support of the written request to be appointed as a kinship guardian or successor guardian. (4) After the juvenile court finds that an individual caregiver qualifies to be appointed as a kinship guardian, the requirements of subdivision (5) or (6) have been proved, and the best interests of the child will be served by the requested appointment, it may make the appointment. After a kinship guardianship appointment, the juvenile court may make any other disposition of the matter that will serve the best interests of the child. 2. No legal guardian of the child is currently appointed pursuant to the Alabama Uniform Guardianship and Protective Proceedings Act, Chapter 2A of Title 26.
a. The original kinship guardian subsidy agreement or amendments to such agreement names the prospective successor guardian as the person to become the legal guardian of the child in the event of the death or incapacitation of the kinship guardian. b. A parent, legal guardian, or legal custodian of the child has consented in writing to the appointment of the successor guardian named in the original subsidy agreement unless all parental rights have been terminated or restricted by a prior court order. c. b. The department has completed a criminal history record check on the prospective successor guardian and all adult residents of the household of the prospective successor guardian. The department also has completed a child abuse record check on the prospective successor guardian and all residents 14 years or older of the household of the individual caregiver. d. c. No legal guardian of the child is currently appointed pursuant to the Alabama Uniform Guardianship and Protective Proceedings Act, Section 26-2A-1. e. d. A child that is 14 years of age or older must be consulted as to his or her position regarding the prospective successor guardianship and if the child is 18 years or older, he or she has consented to the successor guardianship if capable of giving effective consent. (7) The burden of proof shall be by clear and convincing evidence, except that in those cases involving an Indian child as defined in the federal Indian Child Welfare Act of 1978, 25 U.S.C. §1901, the burden of proof shall be proof beyond a reasonable doubt. (8) As part of a kinship guardianship order or successor guardianship order, the juvenile court may order a parent, legal guardian, or legal custodian to pay the reasonable costs of support and maintenance of the child that the parent, legal guardian, or legal custodian is financially able to pay. 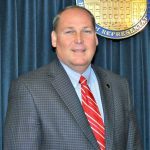 The juvenile court shall use the Child Support Guidelines established by rules of the Alabama Supreme Court to calculate a reasonable payment. (9) The juvenile court may order visitation between a parent, legal guardian, or legal custodian and the child to maintain or rebuild a parent-child relationship if the visitation is in the best interests of the child. (10)a. A kinship guardianship or successor guardianship is intended to be permanent during the child's minority similar to other permanency plan options. After the kinship guardian or successor guardian has been appointed by the juvenile court, a parent, other person, entity, department, or agency, including the Department of Human Resources, may file a petition to revoke or modify the kinship guardianship or successor guardianship by proving not only that a material change in circumstances has occurred since the order granting the kinship guardianship or successor guardianship was entered, but also that the change would materially promote the child's best interest and welfare, and that the positive good brought about by the change would more than offset the inherently disruptive effect caused by uprooting the child. b. If the juvenile court finds that a petition for revocation of the kinship guardianship or successor guardianship filed by the Department of Human Resources meets the standard in paragraph a., it shall grant the petition, and the child shall be placed in the legal custody of the Department of Human Resources. If the juvenile court finds that a petition for modification of the kinship guardianship or successor guardianship filed by the Department of Human Resources meets the standard in paragraph a., it shall grant the petition, and the child shall remain with the kinship guardian or successor guardian but shall be under the protective supervision of the department. c. This subsection does not preclude a parent, other person, entity, department, or agency, including the Department of Human Resources, from filing a petition to modify other terms of the order of the juvenile court granting the kinship guardianship or successor guardianship, including, but not limited to, visitation, which shall be decided, after notice to the department, on the basis of what is in the best interests of the child. (11)a. Except as provided herein, a kinship guardian or successor guardian shall have the same rights, responsibilities, and authority relating to the child as a parent, including, but not limited to, making decisions concerning the care and well-being of the child; consenting to routine, preventative, necessary, elective, cosmetic, and emergency medical, dental, and mental health needs; arranging and consenting to educational plans for the child; arranging and consenting to athletic, sport, or other activity participation; applying for financial assistance and social services for which the child is eligible; applying for a permit or license; applying for admission to a college or university; responsibility for activities necessary to ensure the safety, permanency, and well-being of the child; and ensuring the maintenance and protection of the child, and further provided, that the appointment of the kinship guardian or successor guardian terminates the education rights of the parent in favor of the kinship guardian or successor guardian and the kinship guardian or successor guardian shall be deemed the parent for federal IDEA and other educational purposes. b. A kinship guardian or successor guardian may not consent to the adoption of the child or a name change for the child. The parent of the child shall retain the authority to consent to the adoption of the child or a name change for the child. c. The parent, legal guardian, or legal custodian from whose custody the child was removed shall retain the obligation to pay child support. d. Unless otherwise ordered by the juvenile court, a kinship guardian or successor guardian has the authority to make all decisions regarding appropriate visitation between the parent, legal guardian, or legal custodian and the child. e. The appointment of a kinship guardian or successor guardian does not limit or terminate any rights or benefits derived from or between the child and parent, legal guardian, or legal custodian relating to inheritance or insurance. f. A kinship guardianship or successor guardianship terminates when the child reaches 18 years of age, or when the child reaches age 21 if the child is eligible for a guardianship subsidy up to age 21 regardless of whether the juvenile court has continued jurisdiction, or when the kinship guardianship or successor guardianship is otherwise terminated or revoked by the juvenile court. g. A certified copy of the court order appointing a kinship guardian or successor guardian shall be satisfactory proof of the authority of the kinship guardian or successor guardian, and letters of guardianship need not be issued. h. A kinship guardianship or successor guardianship order is the legal authority to enroll the named child in school and consent to school-related activities and medical care for the child; to give permission or consent for other non-school related activities, placements, and events; and to enroll the child in health, homeowner, employment, motor vehicle, and other insurance. i. A kinship guardianship or successor guardianship order is the legal authority for the kinship guardian or successor guardian to authorize or consent to medical care, dental care, and mental health care for the child. j. Absent negligence, wantonness, recklessness, or deliberate misconduct, no person who acts in good faith reliance on a kinship guardianship or successor guardianship order without actual knowledge of facts contrary to that order is subject to criminal or civil liability or professional disciplinary action. This good faith immunity applies even though a parent, legal guardian, or legal custodian having parental rights or a person having legal custody of the child has contrary wishes. A person who relies upon a kinship guardianship or successor guardianship order is under no duty to make further inquiry or investigation. (g)(1) A caregiver shall have the authority, without prior approval of the department, juvenile court, or circuit court, to allow a child in his or her care that is in foster care to participate in activities that are age or developmentally appropriate for the child based on a reasonable and prudent parent standard, provided the activities are consistent with provisions of any existing court order, individualized service plan, or promulgated policy of the department that provides guidance to caregivers concerning the reasonable and prudent parent standard. The guidance shall include factors for the caregiver to consider prior to allowing a child to participate in age or developmentally appropriate normal childhood activities. (2) A caregiver shall be immune from liability in a civil action to recover damages for injury, death, or loss to person or property that results from a caregiver's decisions using a reasonable and prudent parent standard. This subsection shall not be construed to remove or limit any existing liability protection provided by law." March 13, 2018 H Delivered to Governor at 3:22 p.m. on March 13, 2018. March 13, 2018 H Assigned Act No. 2018-273.